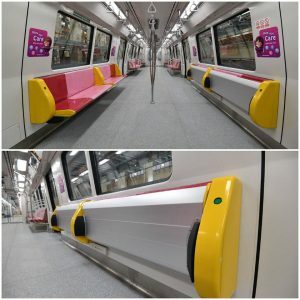 The Kawasaki Heavy Industries & CRRC Qingdao Sifang C151C is an electric multiple unit (EMU) train procured for service on the North South Line (NSL) and East West Line (EWL). Entering revenue service on 30 September 2018, these are the sixth generation of rolling stock for the NSL and EWL, purchased to add additional capacity on both lines. 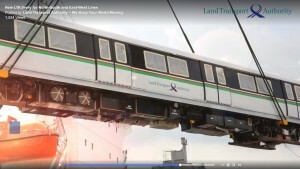 Twelve trains comprising six cars each were procured, manufactured from 2017 to 2019 by Kawasaki Heavy Industries and CRRC Sifang in Qingdao, China. Contract 151C (C151C) for the supply of 12 trainsets for the North South and East West Lines was initiated to complement the Tuas West Extension of the East West Line, and to deliver additional capacity to both lines after the completion of the CBTC resignalling project which allows trains to operate at closer intervals, thus maximizing the capacity of the new signalling system. 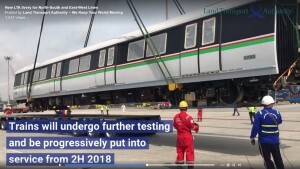 Awarded to a consortium of Kawasaki Heavy Industries and CRRC Qingdao Sifang at an approximate value of S$136.8 million in September 2015, these trains were built in Qingdao, China. Despite offering the highest price among three tenderers, the lowest being S$134.6 million from CRRC Zhuzhou, the consortium was chosen for the contract, likely to facilitate parts commonality with the 480 vehicles (80 trainsets) previously delivered by the consortium under Contract 151A and Contract 151B. 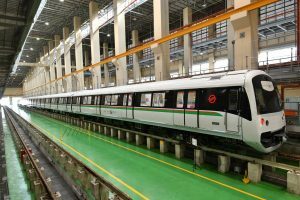 Similar to the C151A and C151B trains, Kawasaki Heavy Industries was responsible for the design and overall project delivery, with CRRC Qingdao Sifang in charge of manufacturing and testing of the trains. Each 6-car train (Formation: DT–M1–M2–M2–M1–DT) comprises two Driving Trailer (DT) cars at each end, and four Motor Cars (M1 and M2). 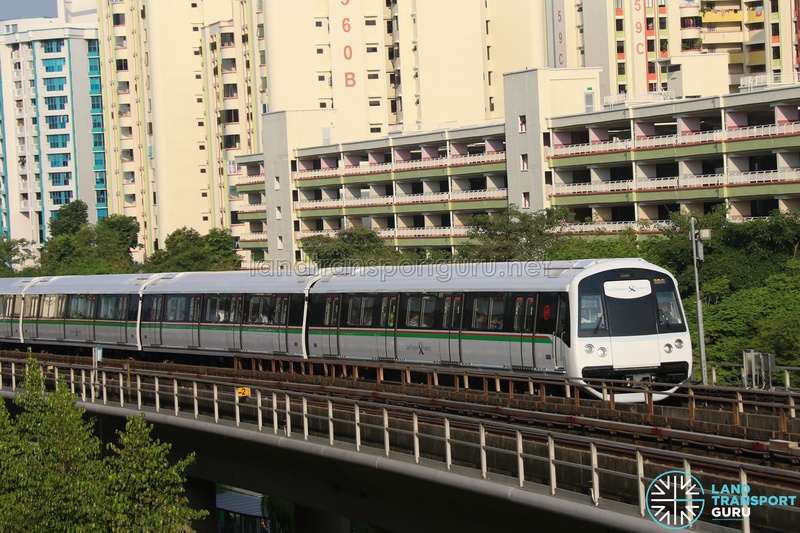 The C151C trains are the first mainline NSEWL trains to be delivered in LTA’s base livery, indicative of the NSEWL’s transition to the New Rail Financing Framework (NRFF) in October 2016. 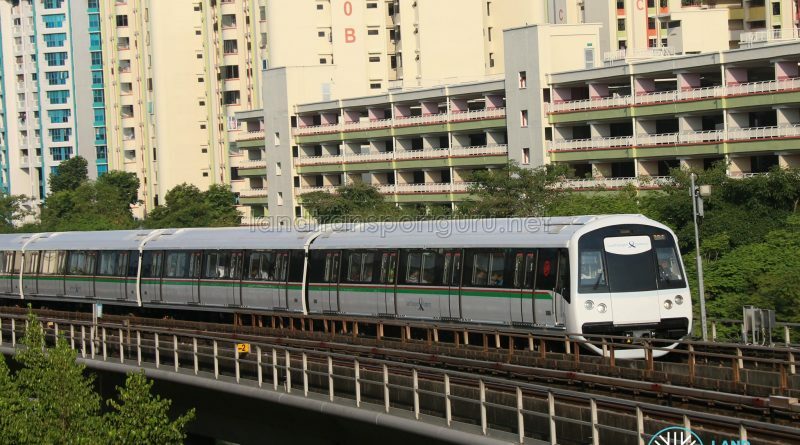 These trains bear a white base coast, with a central red and green running the length of the train, representing the colours of the North South Line and East West Line. Similar to the C151B, the front of the train was sloped to create a streamlined look. All C151C trains are equipped with Thales SelTrac Communications-Based Train Control (CBTC). 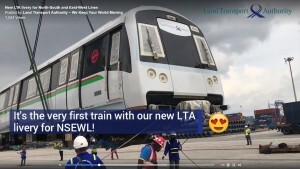 The first trains arrived in Singapore on 27 October 2017. As announced during a press event in August 2018, six trains are projected to enter service in September 2018, with the remaining six trains by the end of 2018. 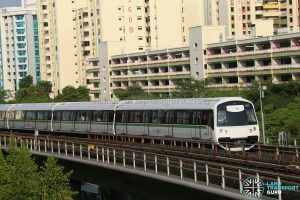 The trains commenced revenue service on Sunday, 30 September 2018 on the North South Line, as announced by SMRT via a Facebook post on 27 Sep 2018. 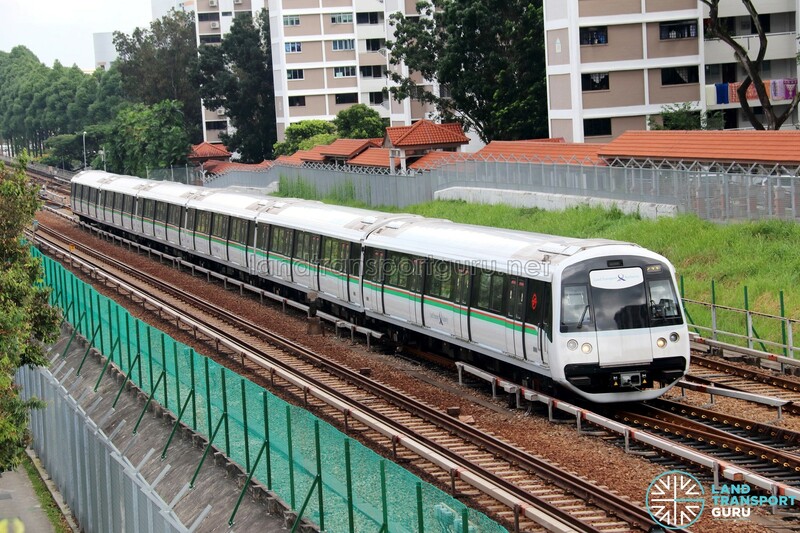 When fully rolled out, the C151C trains would bring the total number of trains on the NSEWL to 191 trains, up from the previous total of 181 trains. 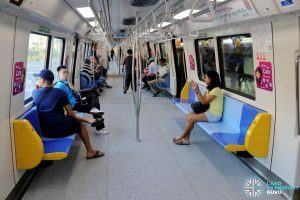 All C151C trains are comprised of six cars with open gangway connections between all cars. Each car has eight doors, four on each side. Priority seats are located in every car, near the doors. Emergency Exits are located at both ends of every train, with a ramp that can be deployed in an emergency. Within the cabin, Emergency Communication Buttons are located at the side of the train doors, enabling passengers to speak with staff in an emergency. Fire extinguishers are also located at the ends of every car. 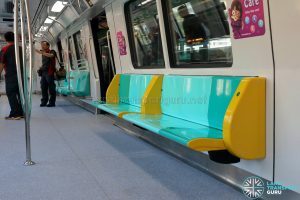 The C151C trains are also the first to incorporate tip-up seats, with four sets of three tip-up seats located in the centre of each car. 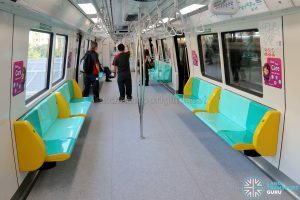 The seats, which are controlled from the driver’s cab, will be folded during morning and evening peak periods, and unfolded during off-peak hours to increase seating capacity. 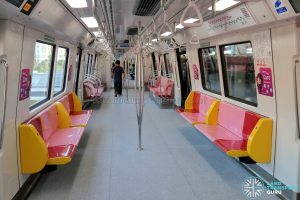 If all 12 seats are folded up, each train car will have standing room for 100 more passengers, increasing its peak capacity by around 6 per cent to 1,700. 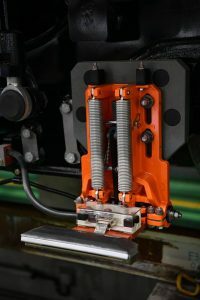 In addition, these trains feature an improved Current Collector Device (CCD) shear-off detection feature to provide timely alerts if any of the CCD shoes unexpectedly lose contact with the third rail, which provides electrical power to the train. This feature would help the operator detect and rectify faults more promptly. A six-car trainset is formed of two three-car sets permanently coupled together. Each set comprises one driving trailer (DT) and two motor cars (M1 and M2). As such, the running configuration of a C151C trainset is DT–M1–M2–M2–M1–DT. On Sunday, 30 September 2018, two C151C Trains (Train Sets 701/702 and 703/704 on Train Run Numbers 204 & 203 respectively) were deployed for revenue service for the first time. 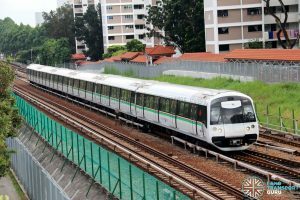 However, train set 703/704 experienced an intermittent signalling issue within 1 hour of launch and was recalled back to Bishan Depot. Head of C151C train (Set 702). Screengrab from LTA video. C151 train. Screengrab from LTA video.